After being caught spying on Darth Vader’s latest Death Star plans, I was sentenced to eternal imprisonment frozen in carbonite. Maybe it didn’t go quite like that, but I did indeed step into a carbon freezing chamber at Walt Disney World, voluntarily, as part of the newest line of custom collectibles offered during Star Wars Weekends 2012, which began yesterday. With the aid of my pal Kenny the Pirate, I recorded my trip into the Carbon Freeze Me experience at Disney’s Hollywood Studios, seen in the video below, including the variety of amusing faces I made while trying to act like I’d just been doomed by the Dark Lord of the Sith. 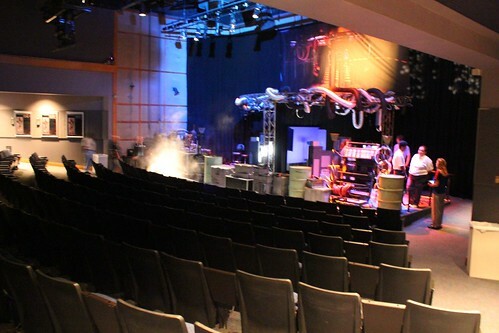 For the duration of Star Wars Weekends, which takes place every Friday, Saturday and Sunday through June 10, Carbon Freeze Me is setup inside the ABC Sound Studio, formerly home to Drew Carey’s “Sounds Dangerous” attraction. 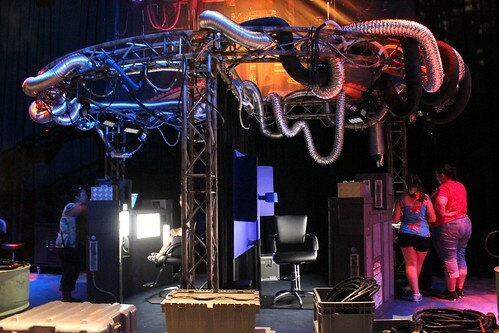 But for this new experience, Disney has decked out the stage to resemble the famous carbon freezing chamber from the second (or fifth?) “Star Wars” film. 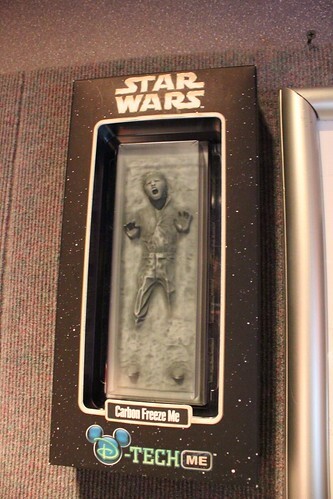 In the end, the product that’s being created from Carbon Freeze Me is an 8-inch tall, highly-detailed Star Wars figurine, featuring Han Solo’s famous pose but with the 3D face of whoever takes part in the experience. The actual “carbon freezing chamber” is a comfortable seat situated between a blue screen, several bright lights, and a small LCD monitor. 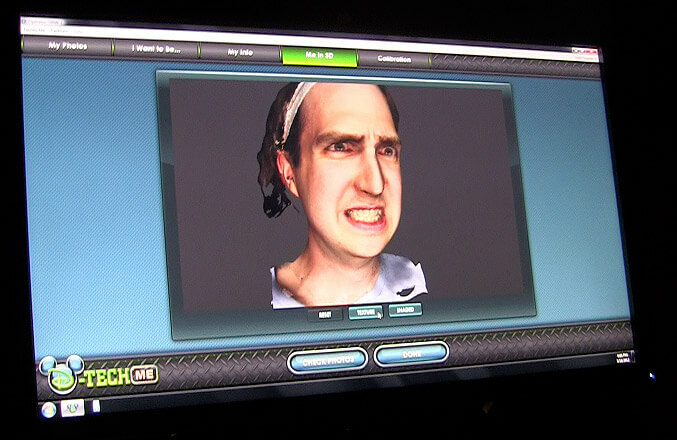 After brief instruction and requiring me to pull my long hair back away from my face, a robotic voice counts down from 3 before my first 3D photo is snapped. Instead of smiling for the camera and saying “Cheeeeeeese,” the proper expression here is to wince in pain as the voice exclaims, “Freeeeeeeeeze.” Clever. Before me, I watched one adult and several children step into the “chamber” and get their likenesses captured. Guests of all ages seemed to be enjoying it, particularly due to Disney’s attention to detail in making it more than a simple photo opportunity. The ambiance, props, sound effects, and Cast Member dedication to the story all combined to create a proper Star Wars experience. I was given three chances at making various faces before stepping around to a nearby computer monitor to see the results. I chose my third face, as it looked like I was in the most pain and my clenched teeth made the photo different enough from how Harrison Ford posed, mouth open, as Han Solo. I had to make it my own. After choosing that photo, the Cast Member clicked a few buttons and my 2D image was suddenly turned into a 3D computer model, fully colored and textured, able to be manipulated on-screen. It was rather creepy. Another mouse click replaced all the color in my face with shades of grey, showing me roughly how I’d appear when frozen in a small carbonite figurine. The 3D-scanned image will act as a base for the final figurine, the design for which will be touched up before being created. The final step, naturally, was to pay for the experience and my figurine, which was not available in the park but rather would be shipped to my house in 3-4 weeks. The price tag is $99, though the total actually comes out to around $122 once sales tax and shipping are factored in. The extra costs offer a bit of sticker shock for those expecting $100 a head – literally. But ultimately the price not only pays for the figurine itself, nicely packaged inside an official Star Wars box, but also the fun theme park experience, which is only open to those who buy into it and their friends and family who join them to watch. 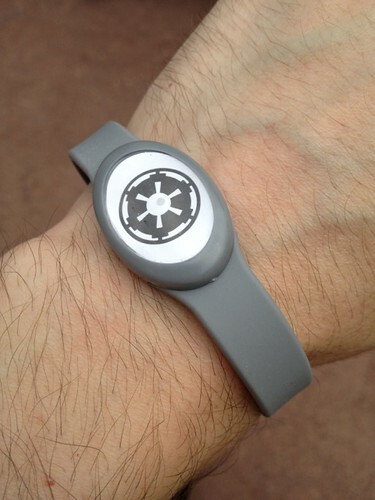 I didn’t leave totally empty handed, given a “tracking wristband” so the Empire could keep tabs on me, since they were unable to truly imprison me in carbonite. 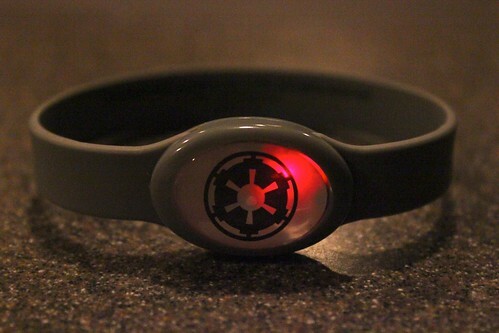 At the touch of a button, the wristband’s face cycles between red, blue, and green colors. So is it all really worth $122? I can’t say that until my figurine arrives in a few weeks. So check back then for my final thoughts on this experience. If it’s successful, and it seems to be, I have a feeling Disney will find ways to extend it past the end of Star Wars Weekends, perhaps rolling it out when Star Wars Celebration VI arrives to the Orange County Convention Center in August. Reservations are required for Carbon Freeze Me, though walk-ups were being accepted late in the day yesterday. The experience can be reserved by calling Disney at 407-WDW-TECH (407-939-8324). There’s always a lot of complaining on Disney sites about the cost of things. I find that so sad, because I bet there will be complainers on this article who gripe about the cost of this. While it’s certainly out of my budget and I would never make one of these figures for myself, my brother is a huge Star Wars fan and I can totally see him doing it — AND I would certainly treat him to this as a combined birthday/Christmas/once in a lifetime type gift. 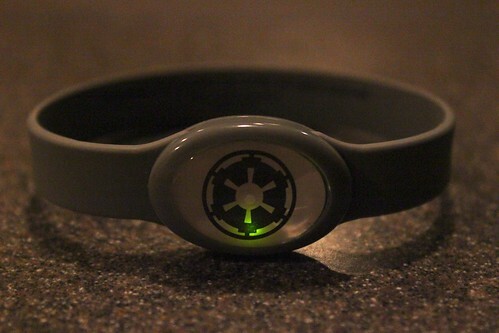 It’s just so unique and different…but definitely something for serious Star Wars fans only. I think I would get as much out of the experience just watching my brother do this and then getting to see his figure when it arrives. Not everything in the parks has to be free or under $20. I love knowing there are these high end experiences available too, even if I won’t ever afford to do them myself. If I could I’d try to do my best troll face. This answers one of my biggest questions when I first heard about this product. 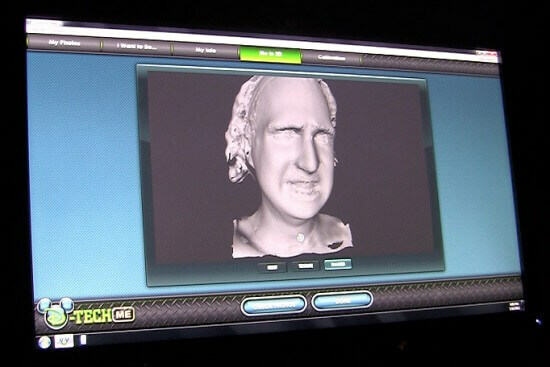 I initially thought it was a full body scan and that your entire body image would be in the carbonite. I was wondering how it would look to see women, pregnant women, overweight folks, little kids, etc have their various body types in the finished product. 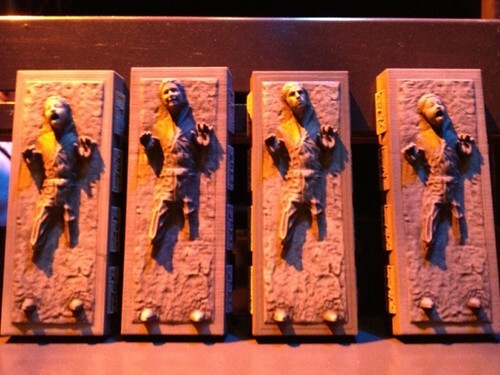 I could see a lot of discussion like “Honey, does this carbonite enclosure make me look fat.” So, on one hand the uniformity of Han’s body being on all of them makes sense. But on the other hand, it is somewhat of a deterrent for women who wanted a recognizable facsimile of themselves. this looks really awesome! its a shame i cant get over there while its on to get one done of myself! i would pay the $122, it may be a high price but its a one off collectable! So on 5/19/2012 I went to Hollywood Studios and had this done. We first checked if we could go early (we had an appointment time) and at that time we were told they were having technical difficulties and were rescheduling everyone. They went even as far as if it wasn’t fixed that day you would have to come back (basically pay to get in again) luckily they got it worked out and I had my pictures taken and paid for it. Fast forward to 6/20/2012. Last week I called and asked where it was at. Since it had not been exactly 4 weeks I was told to call back (was 3 days short) so I called today and was informed they were having problems with the company they contracted to make it. They said they have no control over when it will be done but they were working on it and they had no idea when it would be done. She did say that its been a total mess with this company and that Disney will probably never do this again. 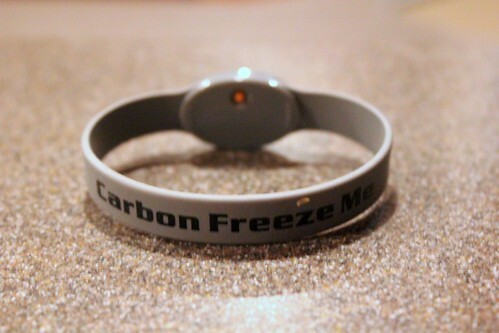 I did the whole Carbon Freeze Me Experience on May 18th. 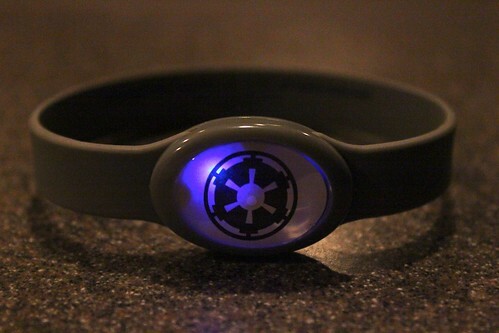 Over 5 weeks later all I’ve got to show for it is the blinky wristband that they gave me at Disney; and assurances from customer service reps that “hundreds” of figurines have been made. This is turning into a real black-eye for both Disney and Lucasfilm. I too had this done in May, it is now July, no word as of yet. Can someone with the customer service number post it here so I can call these people. It was expensive and I am starting to think they just took the money and ran. My receipt says you can call 877-560-6477 or email merchandiseguestservices@disney.go.com. There is also an online tracking web site to check the status of your order, but you will need your order number for that to be useful. The excuses I’ve gotten from customer service are: 1. “Technical difficulties.” (Seems to me they should have ironed those out before offering this in the first place.) 2. “Unexpected high demand.” (Seriously? Star Wars is one of the biggest franchises in the world; and a personalized product from one of the best movies in that franchise is offered through one of the most popular vacation destinations on Earth and they didn’t expect high demand? If the idiot who made that projection still has a job there really is no hope for our economy.) 3. “Packaging problems.” (So they didn’t even have a safe method of delivery in place before they offered these things?) This is the worst example of a “Mickey Mouse Operation” I’ve ever seen. Even though they stressed “no refunds” when I paid for this, if the figurine hasn’t arrived by week 8, I’m going to dispute the charge on my credit card. Even Disney can’t make you pay for something they won’t deliver. I’ll use the $122 to buy a ticket to Universal Studios. The rides and food are better there anyway; and they don’t promise products that they can’t deliver. Does anyone have the link for the tracking website? I have my order number but I have misplaced the original receipt. got mine done on the second day it was available. Being from the UK, they didn’t tell me that it would cost $75 shipping to the UK, but I’d done the experience by then. It arrived today, rattling in a box – the damage to the item was such that it would have been done BEFORE it was even packed – also, I’m not sure who it’s supposed to be, but it sure as heck doesn’t look like me! I chased about the delay and after literally about 20 mails (I starting getting annoyed!) they finally gave me the packaging issue line. I’ve mailed and complained too. I really hope someone out there got a decent one!